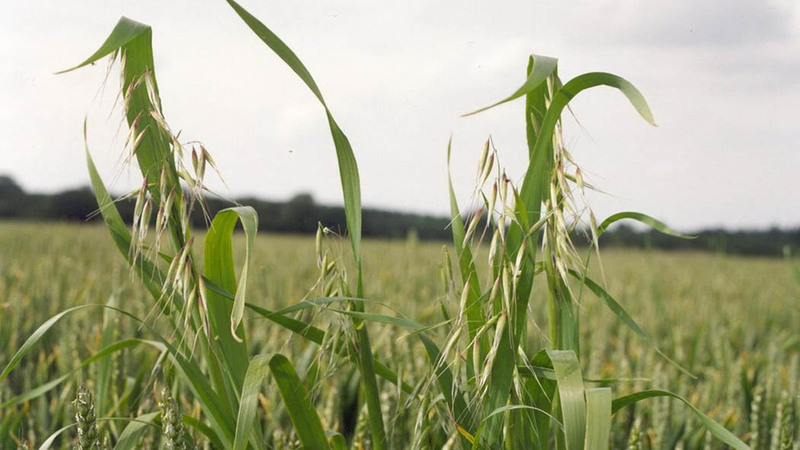 Growers often wait until they can see wild oats before applying herbicide, however, by this point the weed is strong and killing it is more challenging, according to Scott Cockburn, Syngenta business manager, Oxfordshire and Gloucestershire. Syngenta eastern counties application specialist Harry Fordham says there is a wide application window for treatment with Axial Pro (pinoxaden), which could present a range of scenarios for differing weed and crop sizes in spring. Small grass weeds can also be difficult targets to hit and retain spray on the leaf, he says. Research and application trials at Syngenta innovation sites have identified three key factors to get right with wild oat control: timing, application and product formulation. Mr Fordham says the product can be used from growth stage 11 (first leaf unfolded), through to GS39 (flag leaf emerged). “At the early spring application timing, both the crop and the weeds are typically still small and the target is exposed and easy to hit,” he says. “However, there is a chance not all the spring seeds will have germinated and later weeds could still emerge. “If application is delayed and the crop goes into stem extension, the wild oats can be shielded by the larger crop and become more difficult to target with spray droplets. Herbicide application rates should always be tailored to the largest weeds in the crop, he adds. For the early treatments, Mr Fordham advises the best application tips are to use the angled Syngenta 3D nozzle with a water volume of 100 litres per hectare. However, as the crop gets larger, he suggests switching to an Amistar nozzle, again applying 100 litres/ha water volume, can better target weeds in the canopy.